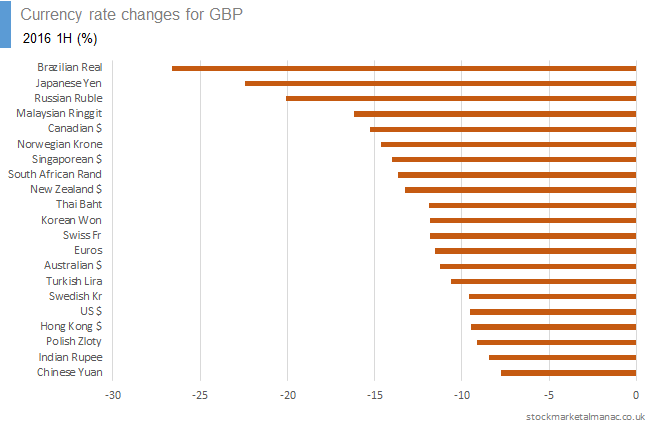 The following chart shows currency rate changes against GBP for the first half 2016. 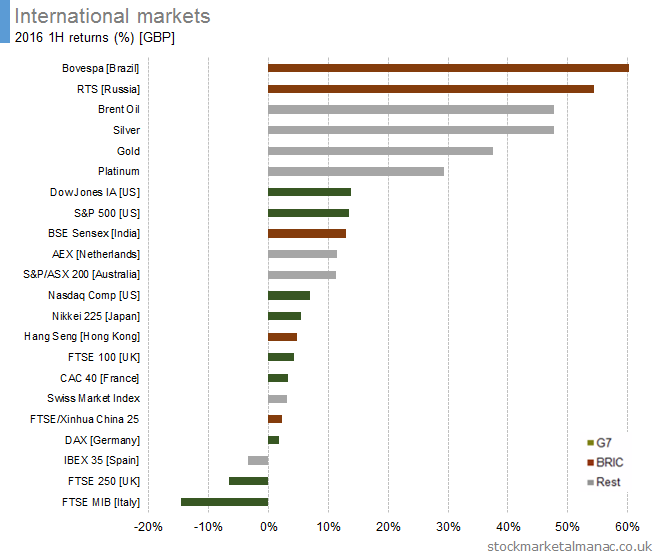 For example, GBP fell 22.5% against the Yen. 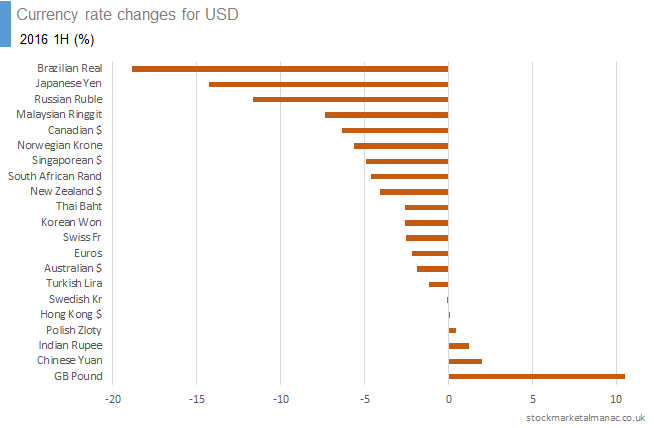 The following chart shows currency rate changes against USD for the first half 2016. 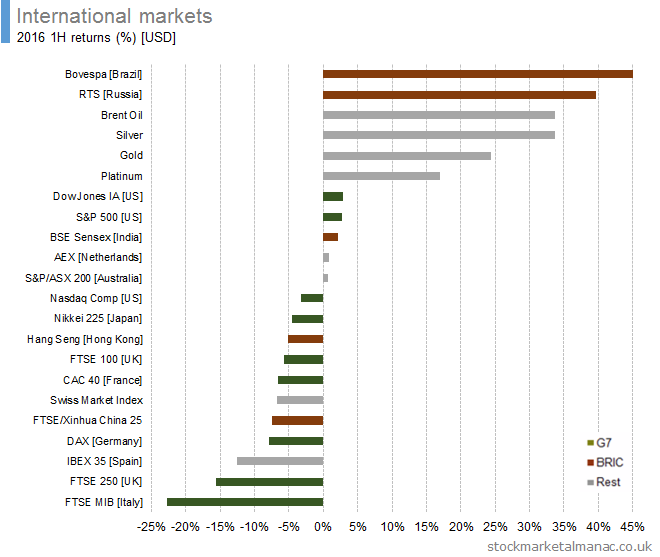 For example, USD increased 10.5% against GBP. 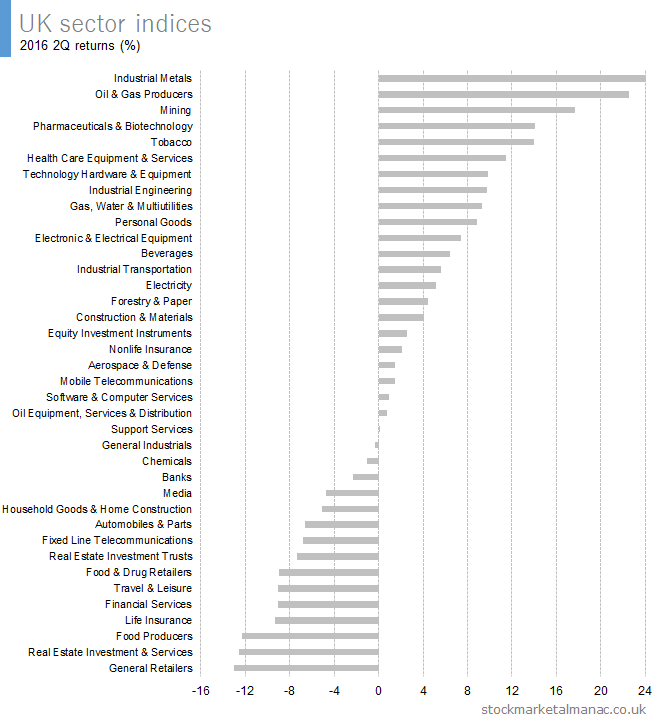 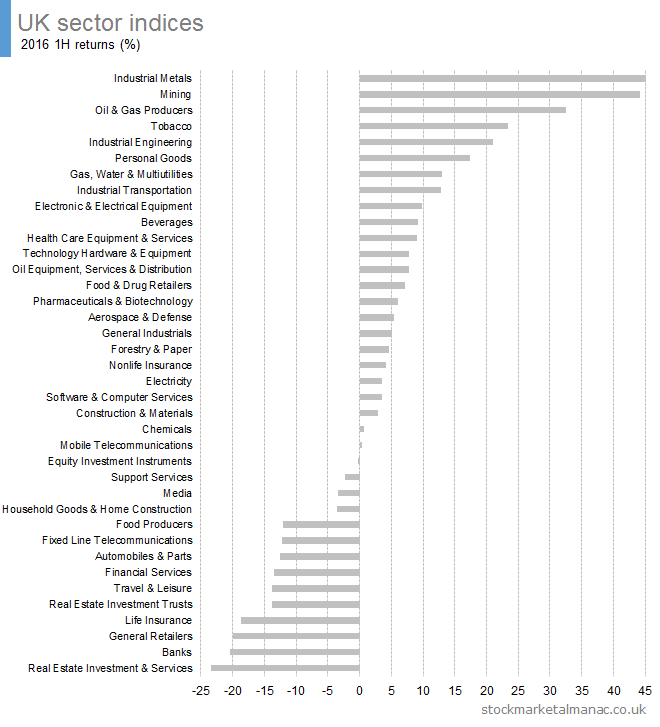 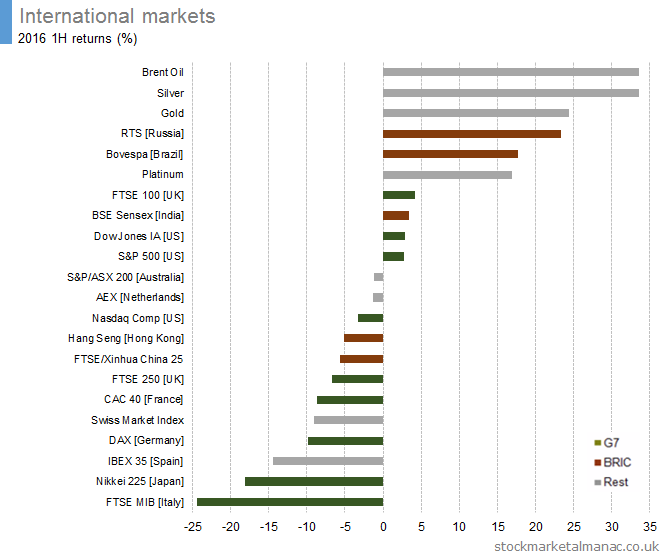 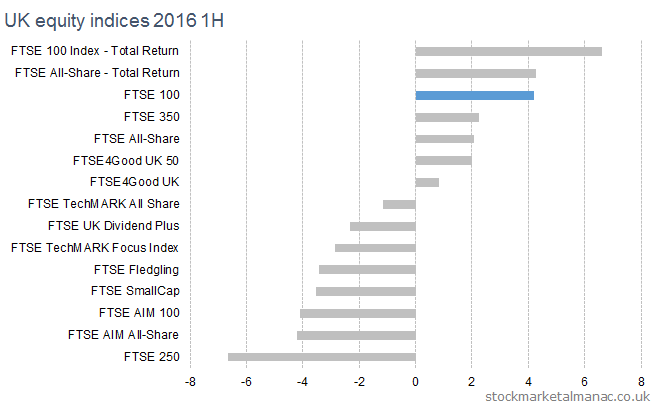 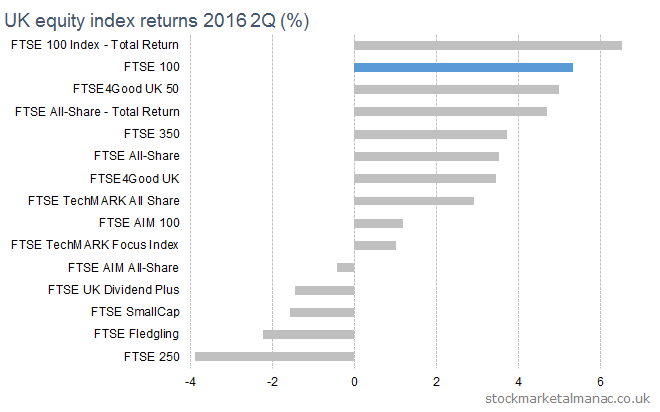 The following charts plot the performance of a selection of world markets in the first half 2016.